Grimsby Town Football Club is a professional football club based in Cleethorpes, North East Lincolnshire, England, that competes in League Two, the fourth tier of the English football league system. Nicknamed "the Mariners", the club was founded as Grimsby Pelham in 1878, changed its name to Grimsby Town a year later and moved to its current stadium, Blundell Park, in 1898. Grimsby Town are the most successful of the three professional league clubs in historic Lincolnshire, being the only one to play top flight English football. It is also the only club of the three to reach an FA Cup semi-final (doing so on two occasions). It has also spent more time in the English game's first and second tiers than any other club from Lincolnshire. Notable former managers include Bill Shankly, who went on to guide Liverpool to three League titles, two FA Cups and a UEFA Cup triumph, and Lawrie McMenemy who, after securing promotion to the then Third Division in 1972, moved to Southampton where he won the FA Cup in 1976. Alan Buckley is the club's most successful manager; he had three spells between 1988 and 2008, guiding the club to three promotions and two appearances at Wembley Stadium during the 1997–98 season, winning both the Football League Trophy and the Football League Second Division play-off Final. In 2008 Buckley took Grimsby to the capital again, but lost out to MK Dons in the final of the Football League Trophy. The Mariners had also reached the Football League Two play-off Final in 2006 at the Millennium Stadium in Cardiff, but lost the match 1–0 to Cheltenham Town, Later trips to Wembley in 2013 and 2016 saw them defeated in the FA Trophy final by Wrexham and F.C. Halifax Town respectively. Grimsby Town's relegation in 2010 made them the fourth club to compete in all top five divisions of English football (after Carlisle United, Oxford United and Luton Town, and before Leyton Orient); they returned to the Football League six years later, beating Forest Green Rovers in the 2016 Conference play-off Final (having lost the 2015 Final to Bristol Rovers). Grimsby's 1939 FA Cup semi-final attendance of 76,962 versus Wolverhampton Wanderers is still a record at Manchester United's Old Trafford stadium. In 1954 they became the first English club to appoint a foreign manager, Hungarian Elemér Berkessy. The club's record appearance holder is John McDermott, who made 754 appearances between 1987 and 2007, while their leading scorer is Pat Glover, with 180 goals (1930–39). Grimsby Town was formed in 1878 after a meeting held at the Wellington Arms public house in Freeman Street, Grimsby. Several attendees included members of the local Worsley Cricket Club who wanted to form a football club to occupy the empty winter evenings after the cricket season had finished. The club was originally called Grimsby Pelham, this being the family name of the Earl of Yarborough, a significant landowner in the area. In 1880 the club purchased land at Clee Park which was to become their ground until 1889 when they relocated to Abbey Park, before moving again in 1899 to their present home, Blundell Park. The original colours were blue and white hoops, which were changed to chocolate brown and blue quartered shirts in 1884. The 1901–02 season saw promotion to the First Division, having finished as champions; two seasons later they were relegated and within a decade they would be a non-League side again, failing re-election in 1910 and falling to the Midland League. However, they finished as champions at the first attempt and at the subsequent re-election vote, replaced local rivals Lincoln City in the Football League. This was the most successful period in the club's history. The first full season after World War I the club were relegated to the new Third Division; in the initial 1920–21 season they played against the former members of the Southern League who had been invited to form the new division, but after a year an equivalent Third Division North was created and Grimsby moved across to that. By 1929 they were back in Division One, where they stayed (with a brief break from 1932 to 1934) until 1939, obtaining their highest-ever league position, 5th in Division One, in the 1934–35 season. In 1925 they adopted the black and white stripes as their colours. Grimsby also reached the semi-final of the FA Cup on 25 March 1939, Grimsby played Wolverhampton Wanderers, in a FA Cup semi-final at Old Trafford. The attendance of 76,962 remains Old Trafford's largest ever attendance. The Mariners lost the game 5–0 after goalkeeper George Moulson was injured early in the match. With the rules forbidding substitutes for injuries, Grimsby had to play with 10 men and an outfield player in goal. With the resumption of the Football League for the 1946–47 season after World War II the club was relegated at the end of the 1947–48 season and has never returned to the highest level. Much of the 1950s and 1960s were spent alternating between the Second Division and the Third Division North, later the Third Division. From July 1951 to January 1953 they were managed by Bill Shankly. His main problems were that Grimsby had been relegated twice in recent seasons, dropping from the First to the Third Division, and some good players had been transferred before he arrived. Shankly believed he still had good players to work with and was able to buy some additional players on the transfer market for low fees. —  Bill Shankly, in his autobiography in 1976. Grimsby's ageing team made a bright start in 1952–53 with five straight wins but eventually slipped and finished in 5th place. In 1953–54, Shankly became disillusioned when the board could not give him money to buy new players. He was reluctant to promote some promising reserves because of loyalty to the older players (a fault that was to resurface at Liverpool years later) and he finally resigned in January 1954, citing the board's lack of ambition as his main reason. Shankly's record in league football at Grimsby was 62 wins and 35 defeats from 118 matches. Shankly went on to win the Football League, FA Cup and UEFA Cup with Liverpool. Allenby Chilton became Grimsby's first player-manager, he joined late in the 1954–55 season from Manchester United and was unable to stop them having to apply for re-election, but the following season under his management they were champions of Division Three North – the only club ever to go from re-election to promotion in one season. Chilton continued as manager at Grimsby Town until April 1959 when he joined Wigan Athletic as manager for one season during 1960–61. Grimsby Town broke their transfer record in 1972 with a fee of £20,000 for the signing of Phil Hubbard. In the same year 22,489 people witnessed a home victory against Exeter City that saw the club promoted as Division Four Champions. This turnaround was credited to the appointment of Lawrie McMenemy as manager. In 1976 the club saw what could be said to be its most prestigious visitor when the local Member of Parliament and then Foreign Secretary Anthony Crosland invited the then United States Secretary of State Henry Kissinger to watch the Mariners play Gillingham. The first season back (1980–81) saw the club finish 7th. Work started that year on a new £1 million stand, originally called the Findus Stand (now known as the Young's Stand) after the former Barrett's Stand had been declared unsafe, the stand opened for the first time on 29 August 1982, as the Mariners played hosts to Leeds United. In the 1983–84 season the club finished 5th in the Second Division after spending most of the latter part of the campaign in the top three promotion places. This was their highest league finish since the 1947–48 season. Grimsby Town's stay in the Second Division ended in 1987, having spent much of the 1986–87 season in the top half of the table, but a run of 8 losses and 2 draws in the final 10 games saw them fall from 8th to 21st. 1987–88 saw Grimsby Town suffer a second consecutive relegation, placing them in the Fourth Division. The club's financial situation was also dismal, and as the 1988–89 season began, the task at Grimsby was to avoid relegation to the Football Conference, avoid expulsion from the FA and avoid going out of business completely. This was achieved, finishing 9th. Following the resignation of Dave Booth in 1986 (to pursue outside business interests) the club had two managers in two years (Mick Lyons and Bobby Roberts). Alan Buckley was appointed after the 1988 relegation and by 1991 had led the club to two successive promotions with the chairman at that time being Peter Furneaux. Grimsby were to remain in football's second flight for six years. Buckley's crop of players consisting of some of the most popular and biggest cult heroes in the club's history; players such as Shaun Cunnington, Keith Alexander, Mark Lever, Dave Gilbert, Steve Livingstone, Paul Futcher, Paul Groves and Clive Mendonca made the club a solid second-tier side (the Second Division became Division One in 1992 upon the creation of the Premier League from the old First Division). In 1992–93, Grimsby finished 9th in the new Division One, and until well into April they were in the hunt for a play-off place that would have given them the chance of a third promotion in four years. They dipped to 16th place a year later, though they were never in any real danger of relegation. The Mariners began to produce homegrown talent from the club's youth academy, including Jack Lester, John Oster, Gary Croft and Peter Handyside. Buckley departed Grimsby in October 1994 to join West Bromwich Albion and he was replaced by defender Brian Laws. Laws steered Grimsby to a 10th-place finish in his first season as manager. During his tenure, Laws became famous for a changing-room altercation after a defeat at Luton with Italian striker Ivano Bonetti, which left the latter with a fractured cheekbone, and caused the popular player to leave the club at the end of the season. Grimsby finished 17th and were in the battle to avoid relegation right up to the penultimate game of the season. In the 1996–97 season the Mariners were relegated from Division One. Despite flowing goals from Clive Mendonca, notably good performances from John Oster and newcomer Kingsley Black, Grimsby failed to save themselves. The club had suffered from the losses of Gary Croft, who made a £1.7 million move to Blackburn Rovers and ever present goalkeeper Paul Crichton. The 1997–98 season saw the return of Alan Buckley as manager, after an unsuccessful period at West Bromwich Albion, for Grimsby Town's most successful post-war season. In the summer of 1997, Buckley succeeded in bringing in players to the club who were to be instrumental in the club's upcoming season; former skipper Paul Groves was re-signed from West Bromwich Albion, and Kevin Donovan and David Smith also joined the club from Albion. The mid-season capture of Huddersfield Town midfielder Wayne Burnett proved to be a great bit of business for Buckley. After a seemingly poor start to the League campaign, performances improved, which propelled the club into a promotion battle with Watford, Bristol City and an expensively assembled Fulham (at the time the only club at this level to have spent seven-figure sums on players), with Grimsby finishing the season in 3rd place. A good run in the League Cup saw the Mariners knock holders Leicester City and fellow Premier League side Sheffield Wednesday out of the competition before finally losing out to Liverpool. A decent run of form had ignited the careers of such younger players as Daryl Clare, Danny Butterfield and Jack Lester who were becoming an integral part of the Blundell Park set-up. The Mariners went on to dump Burnley out of the Football League Trophy Northern section area final, which would see the club book its first trip to Wembley Stadium. The club were drawn against Southern section champions AFC Bournemouth and in a tight game, an equaliser from substitute Kingsley Black took the game into extra time, and in the 112th minute Grimsby secured the game courtesy of a golden goal from Wayne Burnett. This was the first major trophy awarded to the club following its first appearance at Wembley. It took only four weeks for Grimsby to return to the stadium though, this time to face Northampton Town in the Division Two play-off Final. Town won the game 1–0 thanks to a first half Kevin Donovan goal which gave the club a historic Wembley double and the Mariners promotion back to Division One. The 1998–99 season saw Grimsby Town finish in 11th place, but the 1999–2000 season saw Grimsby struggle and finish 20th, avoiding relegation at the expense of Buckley's old club Walsall. The 2000–01 season saw a boardroom change with Doug Everitt taking over from Bill Carr. Everitt dismissed manager Alan Buckley just two games into the season, replacing him with Lennie Lawrence, who earlier in his managerial career had guided both Charlton Athletic and Middlesbrough into the top flight. The new manager chop and changed the playing squad around and brought in some expensive loan signings from abroad such as Zhang Enhua, Menno Willems signing from Vitesse for 160K, David Nielsen and Knut Anders Fostervold. Despite this, the club struggled to avoid relegation, only securing their place in Division One on the last day of the season with a win over promoted Fulham. The 2002–03 season, was a disaster for Grimsby Town; Mariners boss Paul Groves attempted to bolster his side as well as he could, veteran footballers Darren Barnard and Steve Chettle amongst others were brought to the club, and such players as Steve Kabba, Richard Hughes and returning hero John Oster all played some part in the season. The club couldn't avoid relegation and Grimsby finished bottom of Division One and were relegated after five successive seasons at this level. Indeed, only one of their previous 12 seasons had been spent outside it and have never returned to this level. The sudden collapse of ITV Digital had left the club with debts of over £2 million, £700,000 of which was owed to the Inland Revenue and a further substantial amount to their bankers, Lloyds Bank. The collapse had seen a lot of the smaller clubs playing in the second tier of English football struggle to make ends meet. Coupled with this, it meant first-team players such as Danny Coyne and Georges Santos moved on to other clubs. For the new season, the club also had to supply its own kits following the closure of long serving kit suppliers Avec Sportswear. Grimsby Town played the season using the brand "Grimsby Town Sports" before a lucrative three-year deal with Nike was signed in April 2004. Groves dabbled in the transfer market and brought in a batch of new signings, notably Jason Crowe and Des Hamilton, Aidan Davison and Tony Crane. His dealings saw the Mariners boast a large squad for the 2003–04 campaign but despite this, Groves soon found his men sliding down the league, finding themselves involved in a relegation scrap with Sheffield Wednesday as in the previous season. Groves was sacked in 2004 following a 6–0 drubbing by Oldham Athletic and was replaced by Nicky Law. Law struggled from the start after he lost keeper Aidan Davison to injury, as well as players like Marcel Cas, Alan Pouton and Michael Boulding departing the club for various reasons which meant Law was forced to sign replacement players such as veterans Paul Warhurst, Alan Fettis and Jamie Lawrence, journeyman Mickaël Antoine-Curier and injury prone John Thorrington. With little time left for the new team to gel, Grimsby dropped into the relegation zone and went down again on the last day of the season. With Nicky Law failing to keep Grimsby in the Second Division, chairman Peter Furneaux wielded the axe and ended his short stay as first team manager. The club moved to appoint Scarborough manager Russell Slade as his replacement. In 2005, director John Fenty became the controlling shareholder in the club after a search for outside investors failed, and a sale of shares to the local public was poorly received. He owned a 51% majority stake in the club and has made significant loans to the club to ensure its continued operation. Former Leicester City chairman John Elsom also joined the board of directors along with racehorse stable trainer and owner Michael Chapman in December 2002. However, with cash flow problems, corners had to be cut and the squad was paper thin, numbers were mainly made up by inexperienced youth team players, and loan signings of questionable purpose. Like many other teams who suffer a relegation in the previous season, Grimsby got off to a mediocre start and a lower mid-table finish was as good as it would get for Slade's men. Russell Slade began the 2005–06 season by adding several players to the side who would go on to improve the fortunes of the club during the season; Congolese midfielder Jean-Paul Kalala, former left back and homegrown talent Gary Croft and Steve Mildenhall but to name a few were signed in the summer of 2005. A good start to the season and much improved results and performances had seen Grimsby Town rise to the top of Football League Two. A good run in the League Cup saw Town beat Derby County away at Pride Park in round one, and defeat Premier League side Tottenham Hotspur at home in the second round, with Kalala hitting an 87th-minute winner. The Mariners eventually suffered elimination by Alan Shearer's Newcastle United in the third round, losing 1–0 at home. By the end of the season despite remaining in the automatic promotion places for the majority of the season, Grimsby had seen Carlisle United, Northampton Town and Leyton Orient pass them which would see the Mariners go into the final day of the season in 4th place with a chance of beating Orient to the 3rd spot and an initial automatic promotion place well within reach. The club were one minute away from automatic promotion, but a late Lee Steele goal giving Orient victory at Oxford United condemned Grimsby to the play-offs. The Mariners faced local rivals Lincoln City in the play-offs semi-finals, going on to win 3–1 on aggregate. In the final they would face Cheltenham Town at the Millennium Stadium in Cardiff but, perhaps surprisingly as the bookmakers made them favourites and despite beating Cheltenham in both league fixtures during the season, they lost 1–0. On 31 May, manager Russell Slade left the club after failing to agree terms on a new contract. The club also lost important players such as Steve Mildenhall, Curtis Woodhouse and Jean-Paul Kalala. Player of the season Rob Jones was also sold for £250,000 to Hibernian. In 2006 the club announced an arrangement with HM Revenue and Customs which allowed the club to repay its tax liabilities in instalments. In the report for the year ending 31 May 2006 it was revealed that the club made a profit after tax of over £400,000, due mainly to cup exploits and the play-off final. Assistant manager Graham Rodger was promoted to manager. Isaiah Rankin who had a short stay with the club in 2004, was re-signed from Brentford and other signings such as veteran Peter Beagrie and Sheffield United goalkeeper Phil Barnes were brought in. Former Mansfield Town manager Stuart Watkiss was appointed as the club's assistant manager. The Mariners got off to a slow start and the club's main strike partnership of Rankin and Michael Reddy never got going due to injury woes and Reddy harbouring the desire to play at a higher level. Grimsby found themselves near the foot of the table, and by November the poor start had basically destroyed any chances of promotion. On 6 November 2006 John Fenty sacked Graham Rodger. The club released a statement, saying "He has been a loyal servant to the club, but has become a victim of circumstances ... Graham has qualities this club needs – the shame of it is that this man deserved better." During the 2007–08 season the club enjoyed a good run in the Football League Trophy and on 4 March 2008 Grimsby booked their place at the new Wembley Stadium after beating Morecambe in a nervy two-legged Northern Final. A Paul Bolland goal in the away first leg was enough to see Town through. They went on to play MK Dons in the Final on 30 March, losing 2–0 after Danny Boshell missed an early penalty. The season ended with eight straight defeats. Newell's first transfer dealings were to sign two former Grimsby players on loan, Jean-Paul Kalala and Rob Atkinson. The winless streak was finally ended after 23 games on 15 November 2008 with a 2–0 win over Bury at Gigg Lane.. Newell continued to dip into the transfer market and in December 2008 the club offered former Liverpool and England striker Robbie Fowler the chance of becoming a player-coach. Despite positive signs for the deal to come off, Fowler decided to join North Queensland Fury when his contract expired at Blackburn Rovers the following month. Back on the pitch, after a further run of 10 games without a win, Grimsby dropped into the relegation zone for the first time this season, but moved back up to 22nd place after clinching a vital victory against local rivals Lincoln City. Despite their previous form, the Mariners ran out comfortable winners with a full-time scoreline of 5–1. After dropping back into the relegation zone for a second time, the team recovered once again after a 3–0 victory at home against promotion chasing Gillingham. After an extensive campaign in the local newspaper and with tickets reduced to £5, this match achieved the biggest attendance of the season, with 6406 spectators. This was broken with the next home game against Aldershot Town; the same £5 deal saw 7065 watch a 1–0 win for the Mariners. The Mariners went on to secure victories over Notts County and Port Vale going into the final 2 weeks of the 2008–09 season, Town's previous run of form was heralded by manager Newell down to the fact that new loan signing Barry Conlon had improved morale in the dressing room, not to mention clinching 5 goals in his first 6 appearances in a Grimsby t-shirt. The Mariners were all but mathematically safe from relegation, despite a 2–1 away defeat against relegation rivals Bournemouth – which saw the Cherries confirm safety. Fortunately Chester City could only manage a 2–2 draw with Aldershot Town which left City 3 points behind Grimsby with one game remaining, but with a vastly inferior goal difference. Chester lost their final game anyway, meaning that Grimsby were safe; however, they would have been relegated if Newell's previous club, Luton Town, hadn't received a massive 30-point deduction. Newell started his summer spending by quickly securing Barry Conlon and Joe Widdowson on a permanent basis. Paul Linwood was brought in from Chester City, should hugely targeted Ryan Bennett be on his way, but after rejecting two offers from Peterborough United, the club tied the young skipper on an improved 4-year contract. Newell also managed to bring in former loan players Adrian Forbes and Peter Sweeney, as well as Nick Colgan, Michael Leary and Chris Jones to finish his squad refurbishing. The Mariners had a mixed pre-season, consisting of a 12–1 thrashing of Winterton Rangers, a creditable 1–1 draw with Leeds United, as well as losses to Stockport and Doncaster. Season Ticket sales for the 2009–10 campaign had smashed through the previous season's sales, adding up to around 2,500 tickets, a creditable total considering the economic climate. In 2010 one of the previous season's top scorers Barry Conlon was loaned out to Chesterfield before signing permanently shortly afterwards. Puzzled supporters questioned Woods and chairman John Fenty over the decision which was later revealed to be because the player was considered to be a disruptive influence and wasn't turning up for training. Woods began to clear out the ranks, with Danny Boshell, Danny North, Jamie Clarke, Barry Conlon and Grant Normington all being released. Whilst Chris Jones was loaned out only months after being signed. Woods began to make some fresh signings, notably Lee Peacock, Tommy Wright and former loanee Dean Sinclair joined the club. Woods would also heavily use the loan system in a bid to change the club's fortunes. On 6 March 2010 Grimsby ended a club record 25 game winless streak by beating promotion chasing Shrewsbury Town at Blundell Park, 3–0. The 25 game streak had last seen Grimsby win in the league with a 2–0 away victory at Torquay United on 19 September 2009. During this time the Mariners had drawn 15 games and lost 10. The game would also come as the first career victory for Neil Woods. The Mariners went on to win four and draw one of their last six games to give them a chance of league survival going into the last game of the season. However, they were defeated 3–0 by Burton Albion, and thus were relegated from the Football League for the first time in nearly 100 years. The 2012–13 season saw a more stable squad than had been seen by Grimsby Town in recent years, with a total of 12 players from the previous season's squad remaining. The previous season's top scorer Liam Hearn suffered an Achilles tendon injury in pre-season, and although he appeared to be on the road to recovery when he came on as a substitute against Stockport County, just three days later he injured his leg in training, and tests showed it was an Achilles tendon rupture and he would be out for several months. However, despite the loss of such an important player, and despite not winning 5 games into the season, Grimsby were top of the table by Christmas, with two crucial loan players Ross Hannah and Scott Neilson breathing new life into the Grimsby team. The turn of the year, however, appeared to be a turning point for Grimsby, with Nathan Pond returning from loan to Fleetwood Town and Scott Neilson signing for league rivals Luton Town. The team appeared to lack the quality they had shown towards the end of the previous year, and despite not losing until mid-February, a run of 4 consecutive losses in March saw them give up the top spot and ultimately fall away from the title race. Despite this, they reached the FA Trophy final, where they played Wrexham at Wembley Stadium on 24 March 2013. Grimsby went ahead in the second half with 20 minutes left to go, through an Andy Cook strike. However, they conceded a penalty with 9 minutes left and Wrexham equalised. This took the game to extra time, and then penalties, where Grimsby lost the shoot-out 4–1. Grimsby finished the season in good form, with a 9 match unbeaten run, finishing the season with a 3–0 win against Newport County. This led them to finish in 4th place with 83 points. They faced Newport County again straight away in the play-off semi-finals, where they were knocked out by a 1–0 loss in both legs. The managerial duo was broken up on 6 September 2013 due to Rob Scott being suspended and Paul Hurst was placed in sole charge of the team. Grimsby came third in the Conference Premier 2014–15 season, and secured a play-off spot. Grimsby reached the 2015 Conference Premier play-off Final against Bristol Rovers in front of a Conference record 47,029 crowd at Wembley Stadium. The game was forced to penalties where Jon-Paul Pittman missed the penultimate penalty in their 5–3 shootout. After promotion, manager, Paul Hurst, released a number of players, many of whom were pivotal to the previous season's promotion push. On 24 October 2016, Paul Hurst was appointed as Shrewsbury Town manager, Chris Doig also left Grimsby and made Hurst's assistant at Shrewsbury, thus leaving Dave Moore and Stuart Watkiss as caretaker managers. On 7 November 2016, Marcus Bignot, then manager of non-League side, Solihull Moors, was officially announced as the new Grimsby Town manager, along with the appointment of Micky Moore as his assistant. During the January Transfer Window, Bignot brought in a total of 6 players permanently, including Solihull Moors midfielder, Jamey Osborne, and Gateshead midfielder, Sam Jones. Omar Bogle, Grimsby's top scorer at that point in the season, left the club for Wigan Athletic. On 10 April 2017, Marcus Bignot was released from the club, along with Micky Moore and Gary Whild due to inconsistent results and Bignot's failure to release or sell any players who were not needed. His replacement was Russell Slade, who joined the club for the second time as manager on 12 April 2017. Slade's assistant was former Grimsby player, Paul Wilkinson. Grimsby finished 14th in their first season back in league football, with a total of 62 points. At the end of the season, club legends, Craig Disley and Shaun Pearson departed the club, alongside Josh Gowling, Dan Jones, Ashley Chambers and Gavin Gunning. With Danny Andrew departing for Doncaster Rovers and Rhys Browne departing for Yeovil a few weeks later. Grimsby's first summer signing was 22 year-old midfielder, Mitch Rose, who had been recently released from Newport County, on a two-year deal. Three days later, they announced the signing of Siriki Dembélé, a midfielder from the Nike Academy, on a one-year deal. They also signed former Port Vale winger, Sam Kelly, on a two-year deal. On 23 June, Grimsby announced their fourth signing, former Leyton Orient and Coventry City defender Nathan Clarke. Five more players were signed before the window closed, most notably former Scotland international Paul Dixon and former Scunthorpe United winger Martyn Woolford. New signing, Nathan Clarke was immediately made captain of the much-changed Grimsby side, following the departure of former captain, Craig Disley. The club only managed one in their first four games of their second season, with a surprise 3–1 victory over Chesterfield. October and November 2017 saw high levels of inconsistency for Grimsby. Attendances dropped as a result, and many fans began to call for manager, Russell Slade, to be sacked. After a brief upturn in form, Grimsby went without a win from mid-December 2017. This caused many fans to again call for the sacking of Russell Slade. Slade was sacked on 11 February 2018 after seeing the team fail to win in 12 league games, with eight losses, he left the team 17th in League Two. Paul Wilkinson took over as caretaker manager following the sacking. During this time, Grimsby faced further defeats against Cambridge United and Exeter City. Michael Jolley was appointed as the new manager on 2 March 2018.. Jolley secured Grimsby's safety with 4 wins and 3 draws in his 10 games in charge. On 9 May 2018, it was announced that a total of 12 players would be leaving the club, with Ben Davies and Nathan Clarke two of the more notable departures. Six players were offered new deals, including club stalwart, James McKeown. Two days later, the club announced the departure of assistant manager, Paul Wilkinson, who had been brought in under the tenure of the previous manager, Russell Slade. Defender, Andrew Fox was the first to accept a new contract with the club, signing a one-year deal. This was quickly followed with the resigning of James McKeown on a three-year deal, keeping him at the club until 2021. The new home and away kits were unveiled on 16 June 2017 for the 2017–18 season. The home kit is black and white stripes with a red and black collar and the away kit is blue, with the third kit being pink and purple stripes, with Erreà being the kit manufacturer. Grimsby Town play their home games at Blundell Park in Cleethorpes. This is the club's fourth stadium. They originally played at Clee Park until 1879, they then moved to Lovett Street for a single season, before returning to Clee Park for a further nine years. The Mariners then moved to Abbey Park until 1899 before a move to Blundell Park, the club's current stadium. Since the late 1990s, there have been plans for a new 20,200-seat stadium at nearby Great Coates – tentatively titled the Conoco Stadium after a naming rights deal with the American energy corporation ConocoPhillips. There have been numerous delays to the development of the new stadium. The plans have been met with resistance from many residents of the local area surrounding the proposed stadium site, but other factors have also slowed progress. One of the most notable difficulties for the club was in demonstrating how it planned to finance the scheme. As a result, they later amended their proposal to include a retail park on the site, which would help to fund the development. This raised other problems, due to a rival proposal by the property developer Henry Boot, who are continuing with plans for their own retail park, which will be in direct competition with the Grimsby Town site and which has also been approved by the local council. Henry Boot attempted to have the football team's development plan stopped, by asking for it to be sent for judicial review by the Government, however their attempt failed. Currently, the Grimsby Town stadium development proposal has satisfied all the conditions that were imposed by planning officials and consent for the project has been granted. Initial estimates had suggested that the club would be able to move to the new stadium for the start of the 2011–12 season. However, as a result of the ongoing global recession, the club has halted all progress on the new development and it is unlikely that any work will begin until an upturn in the economy. Grimsby Town's geographical region pits them against several professional clubs. Hull City, on the north bank of the Humber, has traditionally been viewed as Grimsby's main rival along but a contrast in their recent fortunes has meant that the two clubs have not met in the League since 1987, with their last competitive match being a Football League Trophy tie in 1998 which Grimsby won 1–0. The closest professional football club to Grimsby is Scunthorpe United. Like Hull, United have eclipsed Grimsby over the last 10 years, with both rivals climbing the Football League while Grimsby suffered three relegations between 2003 and 2010. Games involving any two of the three traditional Humberside clubs are known as a Humber derby. Matches with Lincoln City (a Lincolnshire derby) has been Grimsby's primary derby game in recent seasons with a notable victory in the 2005–06 League Two play-off semi-final in which Grimsby ran out 3–1 winners on aggregate. A slight rivalry with Sheffield Wednesday intensified between 2000 and 2004, with the two clubs competing with each other in several relegation battles in both the First and Second Division. Barnsley, Doncaster Rovers and Boston United are three other examples of clubs who have shared some kind of rivalry with Grimsby in past seasons, whilst they were in the second and fourth tiers respectively. There are two other clubs within the Borough of Grimsby who are on the football ladder, Grimsby Borough and Cleethorpes Town. Town and Borough met in a pre-season friendly for the first time in June 2012, the game ending in a 12–3 victory for Town. The Mighty Mariner is Grimsby Town's mascot. He wears the club's home strip and normally parades in front of the Pontoon Stand as well as tormenting the opposition's fans. He also plays football with the mascots and warms up the Grimsby Town fans. Up until 1998, there were two club mascots, Mighty and Mini Mariner, and until then they used to wear yellow fishing rain coats, before Mini was dropped, and Mighty was given the home strip to wear. Formerly, the mascot was a character named "Harry Haddock", so-called after Grimsby's fishing industry, who is actually a rainbow trout. The newly rebranded Mariners Trust has been working with the fans and the club on a number of projects and events with the aim of improving the match day experience for the fans. It has a new Junior Mariners section, works with similar GTFC-friendly organisations like the internet mariners and the PPAG and is run by volunteers of 400+ members and continues to encourage GTFC fans to join and get involved. Since the late 1990s Grimsby Town have had a Scandinavian supporters group based in Norway and Sweden. Mariners fans since 2006 have also had a friendship with the supporters of Belgian club Eendracht Aalst. Actor and comedian Sacha Baron Cohen who is most widely known for creating and portraying the characters Ali G and Borat was spotted at Grimsby Town's home game against Cambridge United during the 2013–14 season. He watched The Mariners 1–0 defeat before talking to fans in the Blundell Hotel dressed in a Grimsby shirt and hat. Cohen had been in the town to think of ideas for a new film and had also visited the town's fish docks. In December 2013 it was announced that Cohen would be appearing in a new film called Grimsby. Notable Mariners fans include Soccer AM presenter and comedian Lloyd Griffith, American actor and television presenter Adam Richman. Despite not being from Grimsby or England for that matter the Man v. Food presenter came out in saying he is a supporter of the club, and was involved in a BBC Radio 5 Live phone-in before the 2013 FA Trophy final between Grimsby and Wrexham. Grimsby-born actor Thomas Turgoose, who starred as the lead role character Shaun Fields in the drama film This Is England and the TV follow-up's This Is England '86, This Is England '88 and This Is England '90, is a season ticket holder. He appeared as a guest on Sky show Soccer AM in 2007 sporting a Grimsby Town shirt. Other famous fans include politician Norman Lamont, historian Hugh Trevor-Roper, former professional snooker player Dean Reynolds, singer and songwriter Ella Henderson, BBC weather presenter Keeley Donovan and Coronation Street actor Malcolm Hebden (whose parents originate from the area). During April 2007 it was announced that Grimsby Town had struck a deal with Sky channel Propeller TV to show four 30-minute shows named GTTV. The show mainly focused on player and staff interviews and match reviews. The project was eventually scrapped after the four shows aired. Grimsby is the football club that Sacha Baron Cohen's character Nobby supports in the 2016 action comedy film Grimsby. As voted for by supporters of the club. Paul Hurst Rob Scott sacked. Paul Hurst took sole charge. Ivano Bonetti Player, 1995–96 22 games, 4 goals Played in the Italian Serie A for Juventus, Sampdoria and Torino amongst others. Became famous for the "plate of chicken" incident which occurred when Grimsby manager Brian Laws launched a plate of chicken at Bonetti during a half time team talk. Terry Cooke Player, 2002–03 31 games, 2 goals Won both the Premier League and FA Cup with Manchester United in the 1995–96 season. Also went on to feature for Manchester City and Major League Soccer side Colorado Rapids. Also featured for England at U21 level. John Oster Player, 1996–97 & 2002–03 42 games, 10 goals Having started his career with the club, he went on to play International football for Wales, and also played in the English Premier League with Everton, Sunderland and Reading as well as being the club's record sale at £2 million in 1997. Neil Webb Player, 1996 4 games,1 goals Won the FA Cup, UEFA Cup Winners' Cup and English League Cup with Manchester United, also won the League Cup with Nottingham Forest and played 26 times internationally for England scoring 4 goals. Zhang Enhua Player, 2000–01 17 games, 3 goals Was the international captain of China, which included appearing in 2002 FIFA World Cup. In all Enhua featured 68 times, scoring 7 for his country. Players signed to, and have played for Grimsby Town that have had full international caps during their careers. More clubs have lost their managers after meeting Grimsby Town than after playing any other club. Longest Serving Current Player: James McKeown since August 2011. ^ a b c d e "Company History". Grimsby Town F.C. Archived from the original on 1 July 2016. Retrieved 30 May 2016. ^ "First Time Visitor To Blundell Park". Grimsby Town F.C. Retrieved 30 May 2017. ^ "Club Ownership". Corporate Information. Grimsby Town F.C. 12 July 2018. Retrieved 5 February 2019. ^ a b c Hales, Andrew (1998). Memories of Grimsby. Halifax: True North Books. pp. 24–25. ISBN 1-900463-97-0. ^ a b c d e f g h i j k l m n o p q "Grimsby Town". Historical Football Kits. Retrieved 3 June 2016. ^ "Football League 1892–1893". Football Club History Database. Retrieved 4 June 2016. ^ Slade, Michael J. (2013). The History of the English Football League: Part One—1888–1930. Houston, TX: Strategic Book Publishing & Rights Agency (SBPRA). p. 105. ISBN 978-1-62516-183-3. ^ "Grimsby Town 1900–1901: Table: Final Table". Statto Organisation. Archived from the original on 17 July 2016. ^ "Grimsby Town 1902–1903: Table: Final Table". Statto Organisation. Archived from the original on 17 July 2016. ^ "Grimsby Town 1909–1910: Table: Final Table". Statto Organisation. Archived from the original on 17 July 2016. ^ "Midland League – Honours" (PDF). Northern Counties East Football League. Archived (PDF) from the original on 17 July 2016. ^ "Grimsby fish market to open over festive period". FISHupdate. Wyvex Media. 21 December 2006. Archived from the original on 7 June 2012. Retrieved 4 August 2008. ^ "Grimsby Town 1919–1920: Table: Final Table". Statto Organisation. Archived from the original on 17 July 2016. ^ "Grimsby Town 1928–1929: Table: Final Table". Statto Organisation. Archived from the original on 17 July 2016. ^ "Grimsby Town 1934–1935: Table: Final Table". Statto Organisation. Archived from the original on 17 July 2016. ^ "Arsenal defeats Grimsby Town in the FA Cup Semi-Finals". ITN Source. Archived from the original on 29 June 2017. Retrieved 29 August 2012. ^ Astor, John Jacob (23 March 1936). "Arsenal in the Final". The Times. London. p. 6. ^ a b Kelly, Graham (2005). Terrace Heroes: The Life and Times of the 1930s Professional Footballer. Oxford: Routledge. pp. 75–76. ISBN 0-7146-5359-4. ^ a b Marshall, Adam (25 March 2011). "Old Trafford's evolution". Manchester United F.C. Retrieved 29 August 2012. ^ "Season 1947–48". Rec.Sport.Soccer Statistics Foundation. Retrieved 5 June 2016. ^ a b "Grimsby Town 1947–1948: Table: Final Table". Statto Organisation. Archived from the original on 3 April 2016. ^ a b "When Bill Shankly and Allenby Chilton reigned supreme". Grimsby Telegraph. 5 January 2015. Archived from the original on 3 May 2015. Retrieved 31 May 2016. ^ a b "Club Honours & Managers Roll Call". Cod Almighty. Retrieved 25 April 2011. ^ a b Kelly, Stephen F. (1997). Bill Shankly: It's Much More Important Than That. London: Virgin Books. pp. 76–78. ISBN 0-7535-0003-5. ^ a b Shankly, Bill; Roberts, John (1976). Shankly. London: Arthur Barker Ltd. pp. 66–67. ISBN 0-213-16603-8. ^ "Grimsby Town 1951–1952: Table: Final Table". Statto Organisation. Archived from the original on 3 April 2016. ^ a b "Manager – Grimsby". LFCHistory.net. Retrieved 31 May 2016. ^ "Beginning a football revolution". BBC News. 30 November 2009. Retrieved 25 April 2011. ^ "Grimsby Town 1954–1955: Table: Final Table". Statto Organisation. Archived from the original on 3 April 2016. ^ "Grimsby Town 1955–1956: Table: Final Table". Statto Organisation. Archived from the original on 3 April 2016. ^ "Grimsby Town 1967–1968: Table: Final Table". Statto Organisation. Archived from the original on 3 April 2016. ^ "Grimsby Town 1968–1969: Table: Final Table". Statto Organisation. Archived from the original on 3 April 2016. ^ a b Our Association Football Correspondent. "Mr. Arthur Drewry." The Times, London, 27 March 1961, pg 19. ^ "Record signing Phil Hubbard is back for Grimsby Town reunion". Grimsby Telegraph. 28 October 2014. Archived from the original on 14 July 2016. Retrieved 6 June 2016. ^ "A sea of 23,000 fans roared on McMenemy's champions of 71". Grimsby Telegraph. 15 May 2010. Archived from the original on 5 May 2013. Retrieved 24 August 2012. ^ "Lawrie Mcmenemy MBE". The League Managers Association. Retrieved 6 June 2016. ^ "Grimsby Town 1976–1977: Table: Final Table". Statto Organisation. Archived from the original on 3 April 2016. ^ "Grimsby Town 1978–1979: Table: Final Table". Statto Organisation. Archived from the original on 3 April 2016. ^ Ball, Phil (February 2002). "Magic Mariners". WSC. London: When Saturday Comes. Archived from the original on 4 June 2016. Retrieved 16 June 2016. ^ "Grimsby Town 1979–1980: Table: Final Table". Statto Organisation. Archived from the original on 3 April 2016. ^ Hyde, Marina (4 March 2010). "Why grassrootsy protests are now a 'Must'". The Guardian. London. Retrieved 30 August 2012. ^ "Grimsby Town 1980–1981: Table: Final Table". Statto Organisation. Archived from the original on 3 April 2016. ^ "Grimsby Town 1983–1984: Table: Final Table". Statto Organisation. Archived from the original on 3 April 2016. ^ "Grimsby Town 1986–1987: Table: Final Table". Statto Organisation. Archived from the original on 3 April 2016. ^ "Grimsby Town 1987–1988: Table: Final Table". Statto Organisation. Archived from the original on 3 April 2016. ^ "Grimsby Town 1988–1989: Table: Final Table". Statto Organisation. Archived from the original on 3 April 2016. ^ "Grimsby Town 1989–1990: Table: Final Table". Statto Organisation. Archived from the original on 3 April 2016. ^ "Grimsby Town 1990–1991: Table: Final Table". Statto Organisation. Archived from the original on 3 April 2016. ^ "Grimsby Town 1996–1997: Table: Final Table". Statto Organisation. Archived from the original on 3 April 2016. ^ "Grimsby Town 1992–1993: Table: Final Table". Statto Organisation. Archived from the original on 3 April 2016. ^ "Grimsby Town 1993–1994: Table: Final Table". Statto Organisation. Archived from the original on 3 April 2016. ^ "Grimsby Town 1994–1995: Table: Final Table". Statto Organisation. Archived from the original on 3 April 2016. ^ Fordyce, Tom (17 February 2003). "When managers attack". BBC Sport. Retrieved 7 September 2007. ^ Nixon, Alan (13 February 1996). "Bonetti walks out on Grimsby". The Independent. London. Retrieved 20 December 2010. ^ "Grimsby Town 1995–1996: Table: Final Table". Statto Organisation. Archived from the original on 25 March 2016. ^ a b "Croft returns to Blundell Park". BBC Sport. 5 August 2005. Retrieved 20 June 2017. ^ "Wayne Burnett – A GTFC Legend". Grimsby Town F.C. 12 January 2016. Retrieved 14 June 2016. ^ "Grimsby Town 1997–1998: Table: Final Table". Statto Organisation. Archived from the original on 25 March 2016. ^ Jackson, Henry (18 November 2013). "Liverpool 3–0 Grimsby: On this day in 1997: Michael Owen scores first Liverpool hat-trick". This Is Anfield. Retrieved 20 June 2017. ^ a b c d Lloyd, Gwilym (27 March 2008). "Buckley savours Wembley hat-trick". BBC Sport. Retrieved 28 August 2012. ^ "Grimsby bounce back to Division 1". BBC News. 24 May 1998. Retrieved 20 June 2015. ^ Johnson, Jack (November 2010). "Zhang Enhua". WSC. London: When Saturday Comes. Archived from the original on 7 November 2015. Retrieved 16 June 2016. ^ "Enhua happy to be a Mariner". BBC Sport. 10 January 2001. Retrieved 7 June 2016. ^ Bateman, Steve (2 March 2001). "Menno's The Man For Lennie". Sky Sports. Retrieved 7 June 2016. ^ "Gutsy Grimsby stay up". BBC Sport. 6 May 2001. Retrieved 6 July 2016. ^ a b "Liverpool 1–2 Grimsby". BBC Sport. 9 October 2001. Retrieved 16 June 2016. ^ Dominic, Fifield (10 October 2001). "Jevons stuns Liverpool at the death". The Guardian. London. Retrieved 16 June 2016. ^ "Pringle heads to Grimsby". UEFA.com. Union of European Football Associations. 21 February 2002. Retrieved 7 June 2016. ^ Hedlundh, Kent (27 September 2002). "Pringle's double break". Sky Sports. Retrieved 30 May 2016. ^ "ITV Digital woes bring football crisis". BBC News. 28 March 2002. Retrieved 30 May 2016. ^ "Grimsby aim to avoid debt crisis". BBC Sport. 13 January 2005. Retrieved 14 June 2016. ^ Davies, Tom (April 2005). "Grimsby, Swindon, Stockport". WSC. London: When Saturday Comes. Archived from the original on 17 June 2016. Retrieved 17 June 2016. ^ "Leicester sign Coyne". BBC Sport. 3 July 2003. Retrieved 14 June 2016. ^ "Santos signs for Ipswich". BBC Sport. 17 July 2003. Retrieved 14 June 2016. ^ "Crowe set for Grimsby". BBC Sport. 6 August 2003. Retrieved 14 June 2016. ^ "Grimsby close in on Hamilton". BBC Sport. 30 June 2003. Retrieved 14 June 2016. ^ "Grimsby snap up Crane". BBC Sport. 10 June 2003. Retrieved 14 June 2016. ^ "Grimsby 2–0 Sheffield Wednesday". BBC Sport. 3 April 2004. Retrieved 14 June 2016. ^ "Grimsby sack Groves as boss". BBC Sport. 9 February 2004. Retrieved 14 June 2016. ^ "Grimsby name Law as boss". BBC Sport. 5 March 2004. Retrieved 14 June 2016. ^ "Slade takes over at Grimsby". BBC Sport. 28 May 2004. Retrieved 14 June 2016. ^ "John Elsom Joins Town Board". Grimsby Town F.C. 10 December 2002. Archived from the original on 8 October 2011. Retrieved 6 January 2017. ^ "AGM This Morning". Grimsby Town F.C. 19 December 2002. Archived from the original on 8 October 2011. Retrieved 6 January 2017. ^ "Grimsby 1–0 Tottenham". BBC Sport. 20 September 2005. Retrieved 29 August 2012. ^ "Oxford 2–3 Leyton Orient". BBC Sport. 6 May 2006. Retrieved 14 June 2016. ^ Anstead, Mike (29 May 2006). "Coca-Cola League Two play-off final: Grimsby Town 0–1 Cheltenham". The Guardian. London: Guardian Media Group. Retrieved 30 August 2012. ^ "Manager Slade leaves Grimsby post". BBC Sport. 31 May 2006. Retrieved 30 August 2012. ^ "Hibs sign up Jones from Grimsby". BBC Sport. 8 June 2006. Retrieved 16 June 2016. ^ "Grimsby Town sack manager Rodger". BBC Sport. 6 November 2006. Retrieved 6 November 2006. ^ "Grimsby unveil Buckley as manager". BBC Sport. 9 November 2006. Retrieved 31 August 2012. ^ "Grimsby 0–6 Boston". BBC Sport. 3 February 2007. Retrieved 30 May 2016. ^ Mitchener, Mark (30 March 2008). "Grimsby 0–2 MK Dons". BBC Sport. Retrieved 31 August 2012. ^ "Grimsby dismiss manager Buckley". BBC Sport. 15 September 2008. Retrieved 4 May 2010. ^ "Grimsby sack Buckley after just two points from six games". The Daily Mail. London. 15 September 2008. Retrieved 9 July 2016. ^ "Newell takes over as Grimsby boss". BBC Sport. 6 October 2008. Retrieved 28 October 2008. ^ "Oldham's Kalala back at Grimsby". BBC Sport. 30 October 2008. Retrieved 29 August 2012. ^ "Grimsby make Atkinson loan swoop". BBC Sport. 31 October 2008. Retrieved 29 August 2012. ^ "Grimsby 5–1 Lincoln". BBC Sport. 7 March 2009. Retrieved 28 August 2012. ^ "Fans help fuel Town's desire to survive". Grimsby Telegraph. 23 March 2009. Archived from the original on 7 August 2011. Retrieved 24 March 2009. ^ "Luton targeting miracle escape after 30-point deduction". The Daily Mail. London. 29 July 2008. Retrieved 14 June 2016. ^ "Town Part Company with Newell". Grimsby Town F.C. 19 October 2009. Archived from the original on 3 June 2012. Retrieved 18 October 2009. ^ a b "Newell sacked as Grimsby manager". BBC Sport. 18 October 2009. Retrieved 29 August 2012. ^ a b "Woods named new Grimsby manager". BBC Sport. 23 November 2009. Retrieved 31 May 2016. ^ "Neil Woods appointed Grimsby Town boss". Grimsby Telegraph. 23 November 2009. Archived from the original on 5 May 2013. Retrieved 28 August 2012. ^ "Grimsby 3–0 Shrewsbury". BBC Sport. 6 March 2010. Retrieved 7 June 2016. ^ "Burton 3–0 Grimsby". BBC Sport. 8 May 2010. Retrieved 29 August 2012. ^ Lutz, Tom (8 May 2010). "League Two: Grimsby Town relegated after Burton defeat". The Guardian. London. Retrieved 15 February 2015. ^ a b "Neil Woods to stay as Grimsby Town manager". BBC Sport. 12 May 2010. Retrieved 1 June 2016. ^ "Grimsby Town » Transfers 2010/2011". worldfootball.net. Retrieved 31 May 2016. ^ "Crawley 0–1 Grimsby". BBC Sport. 14 August 2010. Retrieved 31 May 2016. ^ "Grimsby 7–2 Mansfield". BBC Sport. 1 January 2011. Retrieved 31 May 2016. ^ "Histon 1–6 Grimsby". BBC Sport. 3 January 2011. Retrieved 31 May 2016. ^ a b "Grimsby Town part with manager Neil Woods". BBC Sport. 23 February 2011. Retrieved 29 August 2012. ^ "Grimsby Town appoint Rob Scott and Paul Hurst". BBC Sport. 23 March 2011. Retrieved 23 August 2012. ^ "Wimbledon 2–1 Grimsby". Soccerway. Perform Group. Retrieved 1 June 2016. ^ "Grimsby Town 2010–2011: Table: Final Table". Statto Organisation. Archived from the original on 17 July 2016. ^ "Grimsby Town 2011–2012: Table: Final Table". Statto Organisation. Archived from the original on 17 July 2016. ^ "John Fenty resigns as Grimsby Town chairman". BBC Sport. 19 September 2011. Retrieved 22 June 2015. ^ "Grimsby Town Football Club Statement". Grimsby Town F.C. 20 September 2011. Archived from the original on 26 November 2011. Retrieved 2 July 2016. ^ "Grimsby Town dealt Liam Hearn injury blow". BBC Sport. 21 August 2012. Retrieved 31 May 2016. ^ "Grimsby Town sign striker Ross Hannah on loan from Bradford". BBC Sport. 20 September 2012. Retrieved 4 June 2016. ^ "Grimsby Town sign winger Scott Neilson from Crawley Town". BBC Sport. 19 September 2012. Retrieved 4 June 2016. ^ "Grimsby 3–0 Newport". BBC Sport. 20 April 2013. Retrieved 4 June 2016. ^ "Grimsby Town 2012–2013: Table: Final Table". Statto Organisation. Archived from the original on 17 July 2016. ^ "Paul Hurst takes sole charge as Rob Scott departs". BBC Sport. 6 September 2013. Retrieved 31 May 2016. ^ "Grimsby 3–1 Aldershot". BBC Sport. 25 April 2015. Retrieved 31 May 2016. ^ a b Thomas, Lyall (19 May 2015). "Bristol Rovers 1–1 Grimsby: Rovers back in Football League after shoot-out win". Sky Sports. Retrieved 31 May 2016. ^ a b Ashdown, John (17 May 2015). "Bristol Rovers promoted to League Two after beating Grimsby on penalties". The Guardian. London. Retrieved 4 July 2016. ^ "Bristol Rovers 1–1 Grimsby". BBC Sport. 17 May 2015. Retrieved 31 May 2016. ^ "Grimsby 2–0 Lincoln". BBC Sport. 28 December 2015. Retrieved 30 May 2016. ^ "FA Trophy: Halifax to face Grimsby Town in Wembley final". BBC Sport. 10 March 2016. Retrieved 4 July 2016. ^ Sweet, Geoff (22 May 2016). "FC Halifax 1–0 Grimsby". The Football Association. Retrieved 24 May 2016. ^ "Bogle scores twice as Grimsby beat Forest Green in National League play-off final". The Guardian. London. 15 May 2016. Retrieved 31 May 2016. ^ Garry, Tom (15 May 2016). 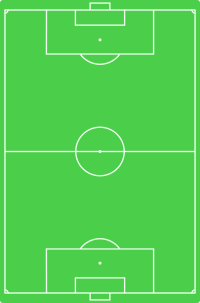 "Forest Green 1–3 Grimsby". BBC Sport. Retrieved 15 May 2016. ^ Charles, Andy (15 May 2016). "Grimsby secure promotion back to Football League at Wembley". Sky Sports. Retrieved 16 May 2016. ^ "Retained List Announced". Grimsby Town F.C. 24 May 2016. Retrieved 11 June 2016. ^ "Paul Hurst leaves Grimsby to become the new manager at Shrewsbury Town". The Guardian. London. 24 October 2016. Retrieved 29 October 2016. ^ "Marcus Bignot: Grimsby Town appoint Solihull Moors boss as manager". BBC Sport. Retrieved 7 November 2016. ^ "Marcus Bignot: Grimsby Town sack manager after five months in job". BBC Sport. Retrieved 10 April 2017. ^ "Russell Slade: Grimsby Town appoint manager for second time". BBC Sport. Retrieved 12 April 2017. ^ "League Two Table". BBC Sport. Retrieved 23 May 2017. ^ "Grimsby Town Retained List 2016/17". Grimsby Town FC. Retrieved 23 May 2017. ^ "Danny Andrew Departs". Grimsby Town FC. Retrieved 23 June 2017. ^ "Browne Make Glovers Switch". Grimsby Town FC. Retrieved 23 June 2017. ^ "Mitch Rose Will Join the Mariners on July 1st". Grimsby Town FC. Archived from the original on 22 May 2017. Retrieved 23 May 2017. ^ "Dembele Signs for the Mariners". Grimsby Town FC. Archived from the original on 26 May 2017. Retrieved 26 May 2017. ^ "Kelly Signs for the Mariners". Grimsby Town F.C. Retrieved 3 June 2017. ^ "Town Secure Nathan Clarke". Grimsby Town F.C. Retrieved 23 June 2017. ^ "Dixon Signs for Town". Grimsby Town F.C. Retrieved 15 November 2017. ^ "Woolford Becomes a Mariner". Grimsby Town F.C. Retrieved 15 November 2017. ^ Findlater, James. "Clarke and Collins Set for New Dual Role". Grimsby Telegraph. Retrieved 15 November 2017. ^ "Match Report Chesterfield 1–3 Grimsby Town". Grimsby Town F.C. Retrieved 15 November 2017. ^ Treadwell, Matthew (11 February 2018). "Grimsby Town part company with manager Russell Slade". Sky Sports. Retrieved 11 February 2018. ^ "Statement : GTFC Appoint Michael Jolley – Message from The Board". Grimsby Town FC. 2 March 2018. Retrieved 2 March 2018. ^ "Retained List Announced". Grimsby Town FC. 9 May 2018. Retrieved 20 May 2018. ^ "Backroom Staff Update". Grimsby Town FC. 11 May 2018. Retrieved 20 May 2018. ^ "Fox Extends Town Stay". Grimsby Town FC. 18 May 2018. Retrieved 20 May 2018. ^ "McKeown Extends Mariners Contract". Grimsby Town FC. 21 May 2018. Retrieved 21 May 2018. ^ "Let There Be Light". Grimsby Town F.C. 8 September 2015. Retrieved 3 July 2016. ^ "Conoco Stadium Official Website". Grimsby Town F.C. 4 July 2006. Archived from the original on 16 May 2008. Retrieved 9 July 2016. ^ "Retail store included in new Grimsby Town stadium plans". Grimsby Telegraph. 18 July 2012. Archived from the original on 21 July 2012. Retrieved 28 August 2012. ^ "Mighty Mariner nets his perfect match". Grimsby Telegraph. 11 August 2011. Archived from the original on 24 July 2016. Retrieved 24 July 2016. ^ "home". Mariners Trust. Retrieved 11 March 2014. ^ "grimsbynorge.com". grimsbynorge.com. Retrieved 11 March 2014. ^ Heyvaert, Tom (17 March 2013). "Aalst's Day Out at Wembley". Thefishy.co.uk. The Fishy. Retrieved 11 March 2014. ^ NewsdeskGy (9 October 2013). "Borat star Sacha Baron Cohen watches Grimsby Town at Blundell Park". Grimsby Telegraph. Archived from the original on 13 December 2013. Retrieved 11 March 2014. ^ "Hollywood spotlight shines on Grimsby for Sacha Baron Cohen's new film". Grimsby Telegraph. 5 December 2013. Archived from the original on 13 December 2013. Retrieved 11 March 2014. ^ "BBC Radio 5 live – The Non League Football Show, 24/03/2013, Savage and Richman on Wrexham v Grimsby Town". BBC. 24 March 2013. Retrieved 11 March 2014. ^ "Everyone Has A Place They Can Call Home". Grimsby Town F.C. 5 June 2014. Retrieved 5 June 2014. ^ Lord, Richard (7 August 2015). "Keeley Donovan: Grimsby (Cleethorpes) born and proud". WordPress.com. Automattic Inc. Retrieved 18 July 2016. ^ "Propeller TV Scores Again". CityLocal. Retrieved 28 August 2012. ^ "I.D. (1995) Movie Script". Springfield! Springfield!. Retrieved 18 May 2016. ^ Lister, David (18 July 2014). "There's nothing fishy about Grimsby". The Independent. London. Retrieved 20 January 2017. ^ "Squad List 2018/19". Grimsby Town F.C. Retrieved 5 July 2018. ^ "U18s' Team". Grimsby Town F.C. Retrieved 8 March 2017. ^ "Meet The 2016/17 Youths". Grimsby Town F.C. 9 July 2016. Retrieved 3 June 2017. ^ "Meet The New Guys". Grimsby Town F.C. 16 May 2017. Retrieved 2 June 2017. ^ "Player Of The Year". Grimsby Town F.C. 29 June 2012. Archived from the original on 20 January 2015. Retrieved 9 February 2017. ^ a b "Grimsby's cult heroes". BBC Sport. 21 August 2004. Retrieved 5 November 2006. ^ Ashdown, John (16 February 2011). "Which club has put the most final nails in managerial coffins". The Guardian. London. Retrieved 21 July 2016. ^ a b c d e f g h i j k "Grimsby Town – Records". Statto Organisation. Archived from the original on 21 July 2016. ^ Brodkin, Jon (28 November 2001). "Gunners' reserves sink Grimsby". The Guardian. London. Retrieved 21 July 2016. ^ "Grimsby 1–4 Hartlepool". Sky Sports. 26 September 2006. Retrieved 30 May 2016.